The ruggedness of this sensor has not compromised its performance. It was designed for ease of installation and will operate properly in any medium compatible with 15-5 SS or SiO2. 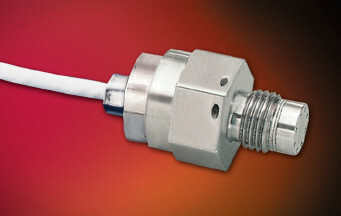 Coupled with high temperature, its Patented Leadless Construction makes it possible for the sensing unit to be installed in such a way that will not compromise its high natural frequency.